Welcome to the number one website with the best, most accurate New Moon days to trim your hair. True, you will find dates elsewhere, but these dates are the best ones, so click no further. Before you read any further go ahead and subscribe so you can receive other New Moon trims dates, for increased hair growth. What is New Moon hair trimming? This is when you choose certain days within the month to trim your hair or start a hair treatment, to double your normal hair growth rate. You schedule your hair trims on specific days according to the lunar calendar, when the energy of the moon is the strongest. I have been trimming my hair according to the lunar calendar for almost a year and I have received the best hair growth ever. If you are on a healthy hair journey then you should trim your hair at least 3 times a year, and when you do why not schedule those trims on the best days. With this method you really have nothing to lose. The New Moon method is not about magic or reciting spells. God created the moon before He created man, and there is nothing magical about the Moon's energy, in the way in which the world views magic. Remember the earth was created to help man and God has given us dominion. If you are reading this and this is something that is new to you, do not discount it because you have never heard of it, nor label it negatively. The concept of using the energy of the moon is not new, but an ancient concept. Do not be confused by varying dates, from different sites! If you do a Google search on this topic, you will find various websites which list different dates, which are suppose to be the best dates for increased hair growth. But Coily Queens Rock has the best dates to increase your normal rate of growth. So why are my dates the best dates? These dates are selected based on experience, research and most importantly spiritual discernment. So you have come to the right website for your New Moon trim dates. The New Moon method can also be used to increase hair thickness, according to some websites. I say this because this is not something I know from first hand experience. Many feel trimming when the moon is in the sign of Leo, will thicken the hair, because the lion has such thick hair. Since you need to trim your ends anyway, if you are one who desires thickness this will not hurt to try. If you do try come back and let us know how it went. Your April dates to increase hair thickness are: 9th and 10th. Do not cut and measure daily or weekly! Do not be anxious for growth when you do the new moon trims, meaning do not measure your hair daily nor every week. Expect growth but do not be anxious. I recommend measuring your hair after your cut, then not measuring again until 40 days later. Write down your measurements in your hair journal. 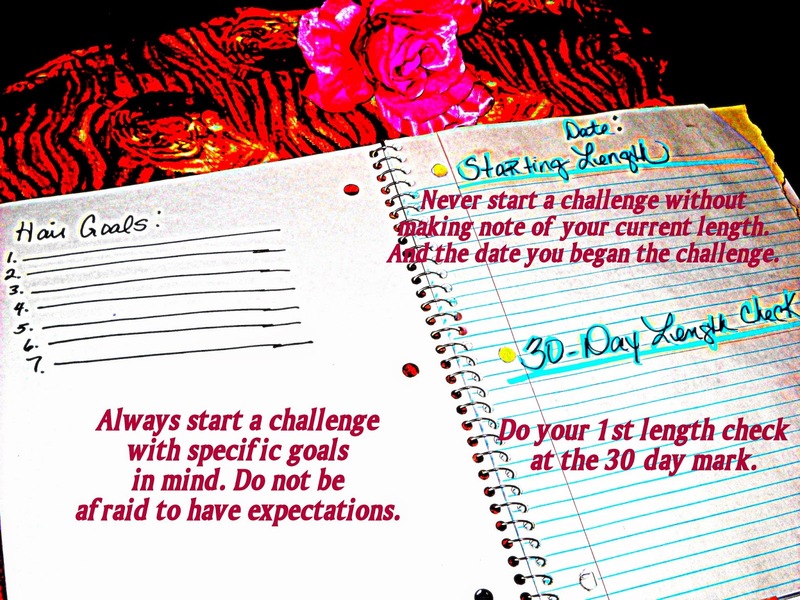 If you do not keep a hair journal this would be a good time to start one, a journal will help you a lot. You should notice increased hair growth for up to 5 months after your new moon trim. Increased hair growth that is more than your normal rate of hair growth. So trim those bad ends and increase your hair growth rate with a New Moon trim!!! Hi Vee. I trimmed my hair on April 1st which is a date not included in your dates for cutting this month. Is that a bad date that will lead to slower growth? Also, I big chopped on your best date for last month, March 11th. Would my doing another cut on a date that you didn't give disrupt my ability for increased growth rate during the 5 months? Also, if that is really a bad date, how can I fix this problem? With good hair care practices and gentle manipulation your hair should grow fine. Not sure what moon the New Moon was in on the first, but I would do another New Moon trim in May if I were you. Daily scalp massages help to stimulate hair growth...What site told you to cut on April 1st? I was looking at the Lunar Hair Chart and it was listed there as well as the Farmers Almanac. Other sites I've visited also pointed out that date along with the dates that you posted as well. I really wanted to get rid of those ends because it was bugging me...Can you tell me though, why that date is bad to trim hair? Also, I will do another trim in May month as you suggested. One question though, how would this trim correct the fact that I chose a bad date? Additionally, when I trim in May, that would be the 3rd time for the year that I'm trimming. Thanks for reading. Look in the right hand column you will see a box at the top with thumb nail pictures of other subscribers you just click there.